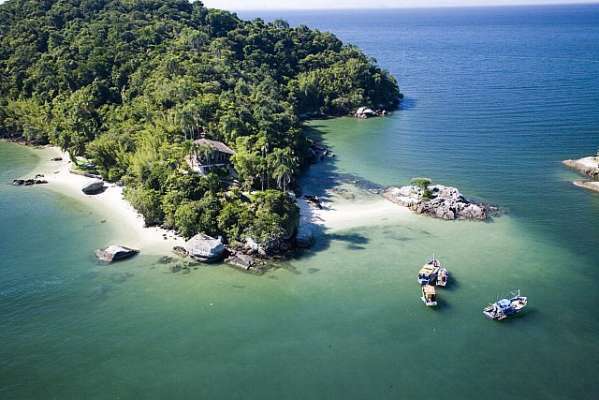 Isla Bonita is located off the coast of Mangaratiba. It is approximately 60 miles (95km) from the city of Rio de Janeiro - 1 hour from the international airport. 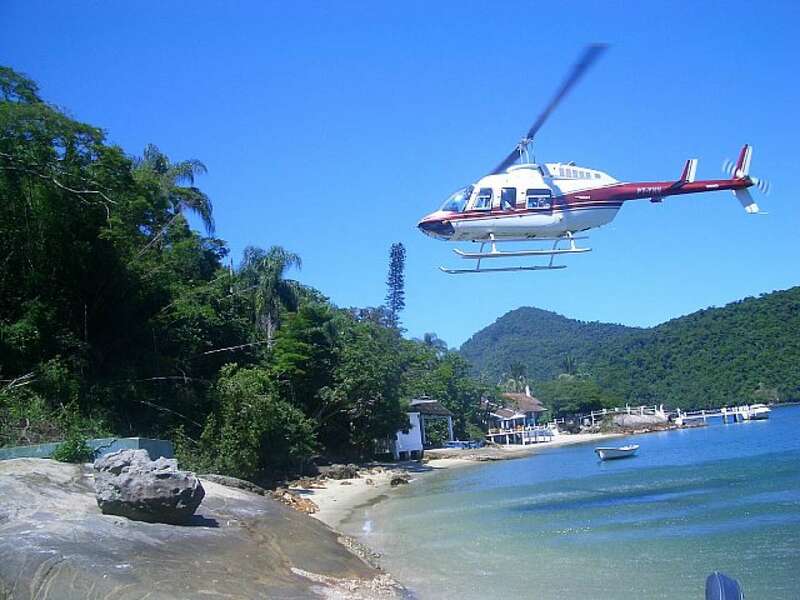 All necessary facilities are found in Mangaratiba such as bus transport, shops, boat services and repair, market, hospital, drugstore and hotels. 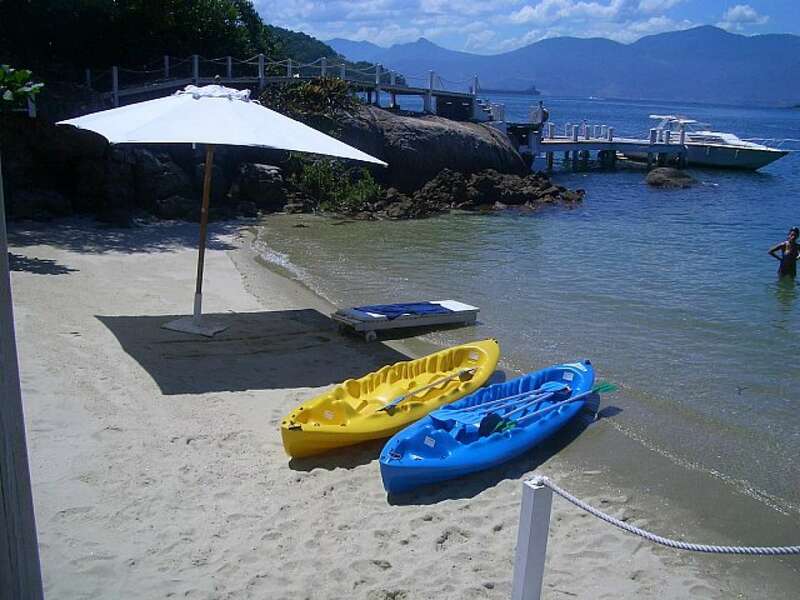 The Island is located approximately 3 nautical miles (5.5Km) only 15 minutes by boat leaving from the “Yacht Club of Itacuruça” (dock) or 40 minutes from Marina Verolme. The Island can be reached by helicopter as well - 25 minutes from Rio de Janeiro. 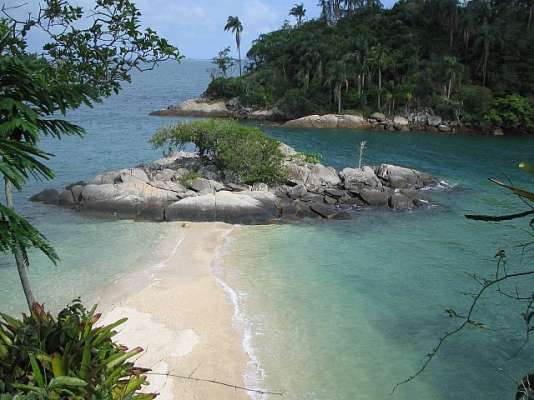 There are four private white sandy beaches on the island and each is unique. 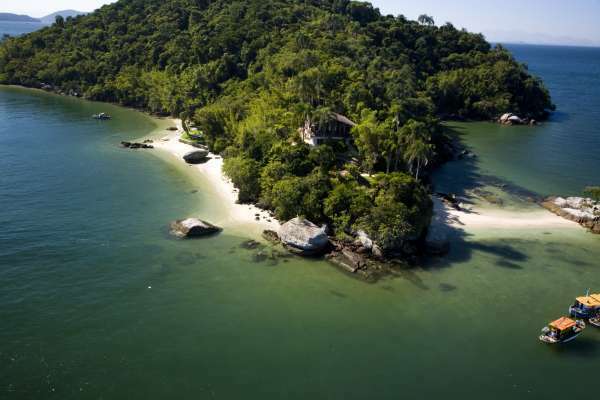 The island is surrounded by Mata Atlantica (typical Brazilian vegetation) where you can see inoffensive monkeys, macaws and a large variety of birds. Warm tropical climate all year around. Dolphin and bird (Mata Atlantica species) watching is very common in this region. Dolphins are regularly spotted in this region. 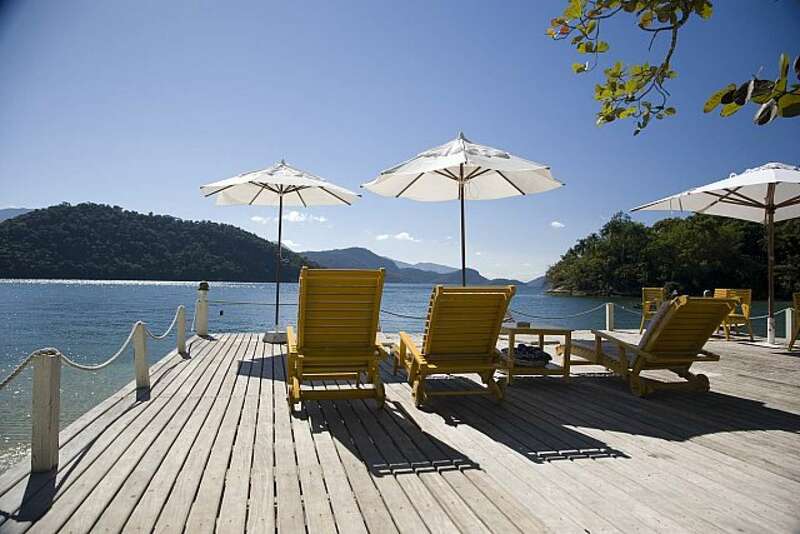 Thanks to the the tranquil water, Isla Bonita is a great place to practice water sports such as water skiing, wake board, kayaking, jet skiing, swimming and fishing. When the wind is southwest, there is a perfect place to kite surf only 5 minutes away by boat. The Famous Angra dos Reis is only 1 hour away by boat. There one can surf or walk in one of the most beautiful beaches in the world, “Lopes Mendes”, play golf at Frade Golf Resort, the course was designed by the Englishman Dave Thomas and Peter Alli, go sport fishing anywhere and scubadive at Ilha Grande. The surrounding area is so beautiful that Club Med and Porto Belo chose the site to built their resorts and are about 25 minutes from Isla Bonita. There is no residential telephone or Internet provider on the Island. However, mobiles work perfectly on the Island. There are two comfortable houses. 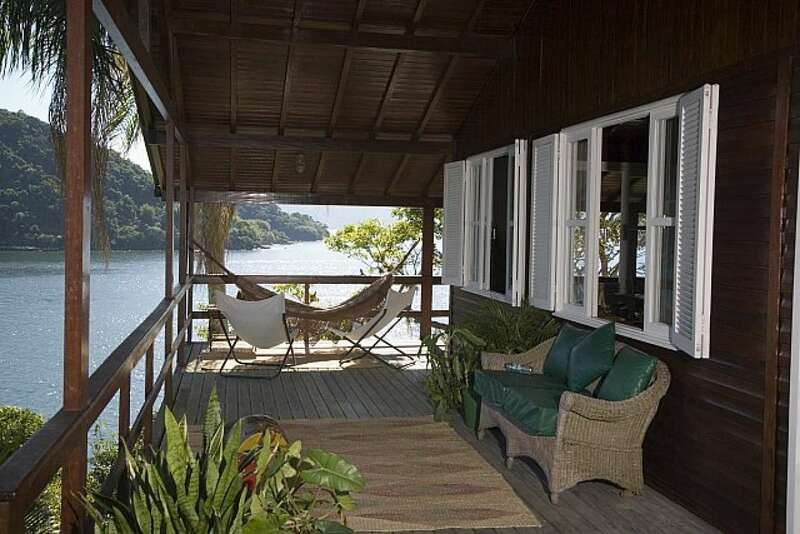 The main house is located at the top of a hill among palm trees with an exuberant ocean view. On the first floor there is a tv/game room equipped with a table tennis and snooker. On the second floor there are four bedrooms that accommodate 8 people, a dining room and a compact kitchen. The master bedroom is a suite and there are another two bathrooms for the other 3 rooms. 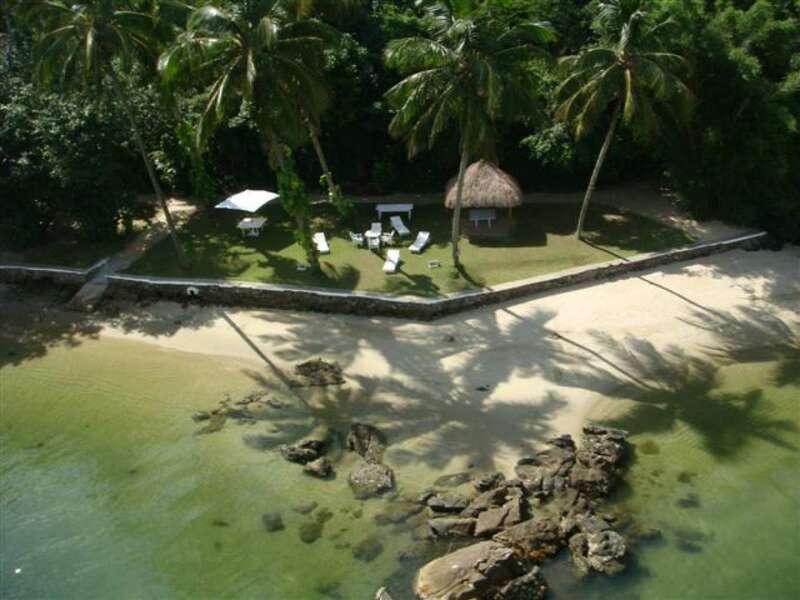 Just a ten minutes walk from the main house, there is another house, which is located in front of the beach, with four suites that accommodate 8 people. Inside, there is a big dining room with TV (satellite) and the main kitchen is located at the back. Outside, there is a dock which is used for sunbathing and to anchor the boat. There are also three other houses for the staff. Each house is equipped with two bedrooms, one bathroom and veranda. 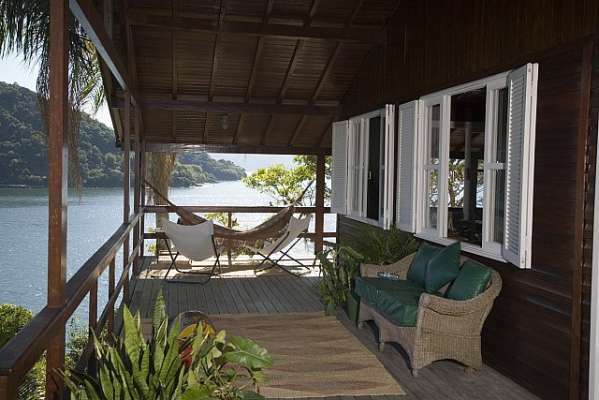 One house is just for the manager of the Island and the men responsible for taking care the macaws and monkeys. The other two staff houses are used to support the main and the second houses. Between the first and second house, there is a big garden (barbecue area) in front of the second beach. The tracks among houses are fully illuminated. Electric energy is provided by two big new diesel generators and one small generator (just for essential equipment such as refrigerator, track light, dock and houses for the staff). Model 1: MWM 229/3 - capacity of 30 KVA - consumes 10 liters per hour. Model 2: Mercedes OM 314 - capacity of 40 KVA Caviars – consumes 12 liters per hour. Model 3: Agrale M90 Model - 7 KVA – consumes 3 liters per hours. The standard power voltage is 110V 60 HZ (cycles). However there are 220V plugs as well. There are two underground water storages (11.000 liters each) that store rainwater and two wells drilled on the island. There is a traditional sewage system with pits and an independent system for each of the 5 houses. 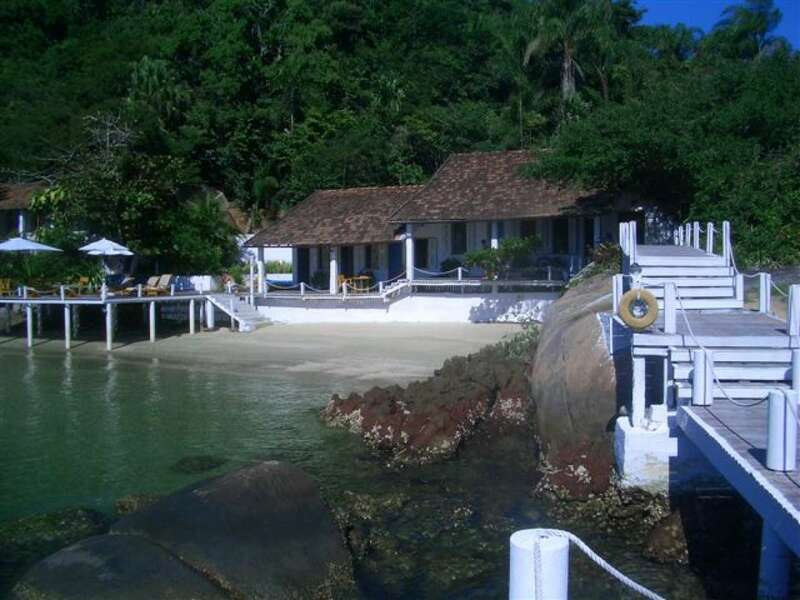 Yacht Club of Itacuruça - 15 minutes by boat. There are all the necessary structures and facilities for all boats (moorages) up to 42 ft. There is a parking lot in the club. Marina Verolme – Includes all the necessary structures and facilities for all boats and vessels. 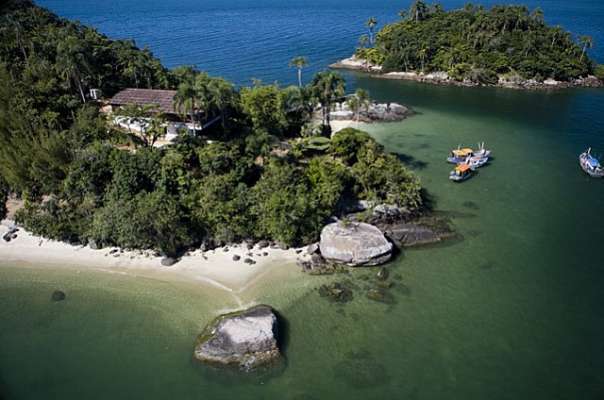 It is about 40 minutes from the Isla Bonita and 1.5h from Rio de Janeiro. For more details visit www.marinaverolme.com.br (in English). There are 5 employees who take care of the island: one cook/house-cleaner, two gardeners, one sailor and one manager. Unlike the manager, the rest of the staff lives on the island the whole year. The cost to maintain the island in the current conditions is about US$45,000 per year including everything such as salaries, taxes, oil, gas, eventual repairs, yacht club, insurance, etc. In case there is an intention to carry out new construction on the property, it will be necessary to obtain the authorization of the Secretariat of Environment - FEEMA, Regional office Angra dos Reis. In order to get this permission, the one responsible must present the plan in order for the Regional Office to evaluate the plant and environmental impact. Once the project is approved and authorization received, the construction may be carried out after the authorizatio is taken to the land registry office of the City of Mangaratiba. 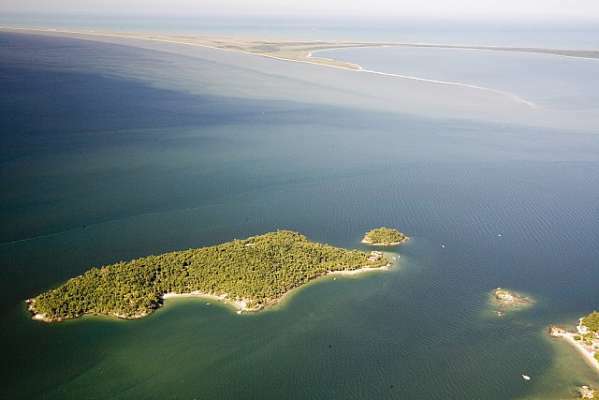 The current owners have owned the island for almost 30 years. All the rights, permissions and documentations are updated. Transfer tax of Real properties - ITBI (City hall of Mangaratiba), which represent 2% (two percent) of the evaluation of the property which will be carried through by the City hall. Laudêmio (Federal) which represents 5% (five percent) of the evaluation of the property which will be carried through by the Secretariat. The fixed cost charged to visit and spend one day on the island is US$1,000. The price includes ground transportation (Rio – Itacuruça – Rio), lunch and drinks (4 people maximum) and round boat trip.. If you would like to go by helicopter it will cost US$1,800 extra.